Friday Flicks #12: Two real-life stories reveal the essential attitude and practical steps to lift the burden of decluttering papers related to your personal history. Is it worth your time and energy now to go through your ephemera? Instead of feeling weighted down by all those papers, you can be free to enjoy the work ahead. Enjoy ALL ClutterClarity YouTube videos - Thanks for subscribing! Consigning used clothes can be a pain in the neck, schlepping or waiting months for an in-store appointment to drop off your clothes. It’s frustrating and counter-productive. Instead of waiting, people often end up donating the clothes just to get the clutter out of the house. Of course, donating is good, but according to the Environmental Protection Agency, 85% of donated clothes end up in a landfill. Knowing this, people feel discouraged instead of proud. Since 2009, Eileen Fisher’s Renew Program has taken back over 1M garments from their customers. The garments are cleaned, mended, re-sewn, felted, over-dyed and re-sold. Their “Tiny Factory” re-purposes stained clothes into new clothes, art pieces, and even furniture. Drop off your clothes at stores or mail them in to get $5 per garment rewards card. The world’s largest online marketplace buys and sells women and kids secondhand clothes and accessories. You can choose a “payout” to yourself or donate the cash you earn to their Charity Partners (Help Mother Out, Girls Inc., Wardrobe for Opportunities, Big Brother Big Sister, Feeding America), and get a tax receipt. In 2018, ThreadUP donated nearly $80,000 to charity! New and consigned women’s fashion—a go to for modern style, classic vintage, and luxury clothing and accessories. High quality fashion at a fraction of the cost. All items are in mint condition and have a unique quality and style. 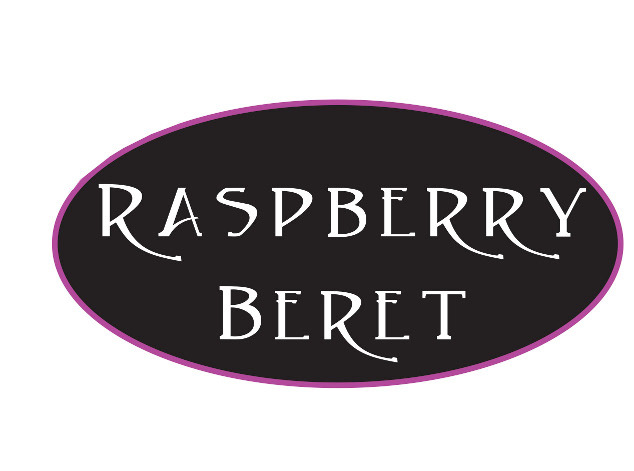 Raspberry Beret makes consigning clothes truly enjoyable! Quick appointments. You don’t need to wait months. They’ll come to your home to pick-up your clothes. Gorgeous stores, friendly staff, and they play fantastic music. It’s hard to leave! Friday Flicks #11: You may know what to do with your stuff, but it’s so much harder when procrastination, frustration or overwhelm get in the way, right? Learn specific steps on how to clear the emotional mess and do the physical work of decluttering and downsizing in greater comfort and ease. Upcoming ClutterClarity webinars offer even more understanding and skills. Job Title: Assistant to Professional Home Organizer, Move Manager and Productivity Coach, Laura Moore, M.Ed., Principal of ClutterClarity LLC. Job Description: ClutterClarity helps people declutter, organize, downsize or move. You’ll be directly involved with a project’s physical work so progress can be made with greater ease and efficiency. You will be working by Laura Moore’s side, observing and learning her unique, integrated approach, including essential emotional and time management skills we all need when decluttering and organizing our life and homes. Gradually, you will work independently with clients. You will also assist Laura with running her business in any way necessary, especially helping to implement the company’s online marketing strategies. Trial period: 30 days, at which point we decide if we’re a good fit. Intern: 60-90 days, including trial period $15/hour. Deliver donations, pick up supplies, etc. 20+ hours per week, some weekends, no nights. Half days (3-4 hours) and full days (6 hours typically). We can set specific days and hours per week, but flexibility is essential to fit clients’ specific needs week to week. We will make a schedule every two weeks to accommodate your schedule as much as possible. Must live near Concord, MA. To Apply: please send an email to inquiry@clutterclarity.com. Look forward to connecting soon. Thank you for your interest. Friday Flicks #10: This charming video features Laura helping Alice "get rid of" her collection of cherished vintage dresses before moving to a continued care retirement community. Instead of selling or donating the dresses, Laura finds a happy solution through artist, Merill Comeau, so Alice can bring them to her new home. Instead of feeling loss or regret, Alice could enjoy the downsizing process and results for years to come and get clutter clarity. Enjoy all ClutterClarity YouTube videos here - thanks for subscribing!